The main flight data recorder of the crashed Tu-154 plane will be taken to the Central Scientific and Research Institute of the Air Force in Lyubertsy, in the Moscow Region, in the coming hours where it will be deciphered, Russia's Defense Ministry said. "The main flight data recorder was found at 5.42 a.m. some 1,600 meters away from the coast at the depth of 17 meters by the Falcon search apparatus," the ministry said in a statement. "In the coming hours, it will be taken by an aircraft of the military and transport aviation to the Central Scientific and Research Institute of the Air Force in the Moscow Region’s Lyubertsy and its specialists will decipher it," the ministry said. 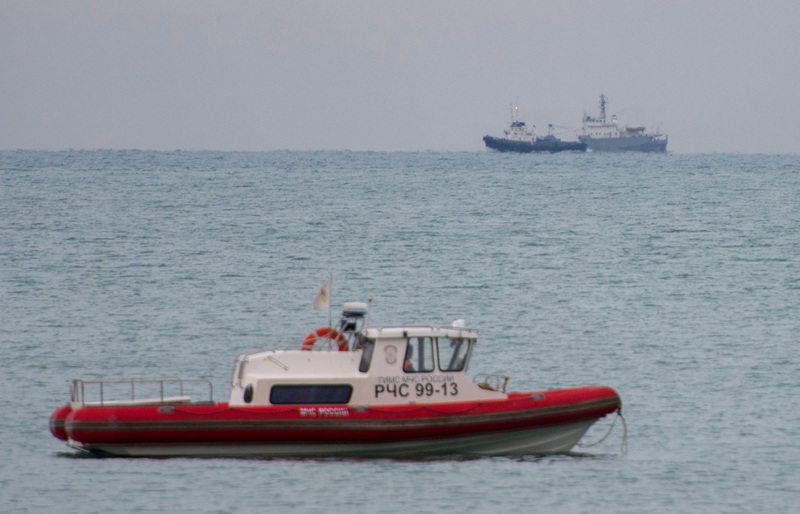 The search operation in the area of the Tu-154 plane crash continued throughout the night. Five more parts of the plane were found some 1,700 meters away from the coast at the depth of around 30 meters. "These are several parts of fuselage, fragments of engines, various mechanisms and components. All the debris is taken to the shore and handed over to the investigators," the ministry said. The divers of the Epron rescue vessel also found and recovered the body of another victim of the crash. "As of today, 12 bodies and 156 body parts have been discovered after the crash," the ministry said. The Tu-154 plane from Russia’s Defense Ministry crashed in the early morning hours of Dec. 25 shortly after taking off from the Black Sea resort of Sochi. There were 92 people on board the aircraft, including eight crew members and 84 passengers that lost their lives in the plane disaster.